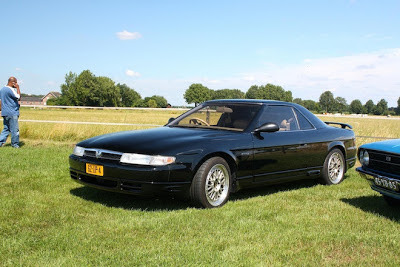 The 1992 Mazda Cosmo is on the list of vehicles NOT approved for Show or Display. Even though it was the only vehicle could be had with a 3 rotor- or 20B-REW engine, the total production numbers put it too far outside the 500 vehicle limit for Show or Display. "The Cosmo was manufactured from February 1990 until September 1995, and gathered a total of 8,875 sales. A split of 60/40 sales between 13B-REW and 20B-REW variants made the triple rotor 20B-REW version a rare car." It might be rare, but its not 500 cars rare. Another example of a car that is getting closer to its 25 years. The 1990 cars will be 25 years old in 2015. 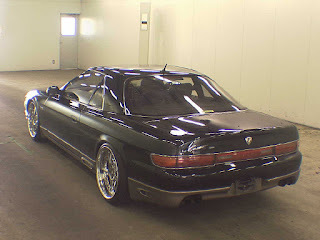 However, even though the 1992 Mazda Cosmo was not approved for Show or Display, the 1994-1995 Mazda Eunos JCES Cosmo Series II was approved.